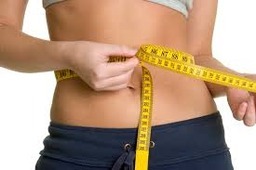 About The Lipo Wave Clinic We bring you the latest in technology to help you achieve your body goals. Lipo-cavitation is the latest in slimming technology, target stubborn fat, post-natal pouch, muffin tops, bingo wings and more with our Cavislim machine. The ultrasound waves penetrate beneath the skin and cause the fat cells to break up, releasing stored fat for the body to metabolise. A course of treatments is recommended. When you need results in a hurry we also offer inch loss wraps which you wear in the privacy of your own home - amazing and immediate results! We are also delighted to offer the latest in IPL laser hair removal so you can enjoy fuzz free skin with no more razors, depilatory creams, plucking or waxing. Call to find out more, or visit our Facebook page for regular news and offers.